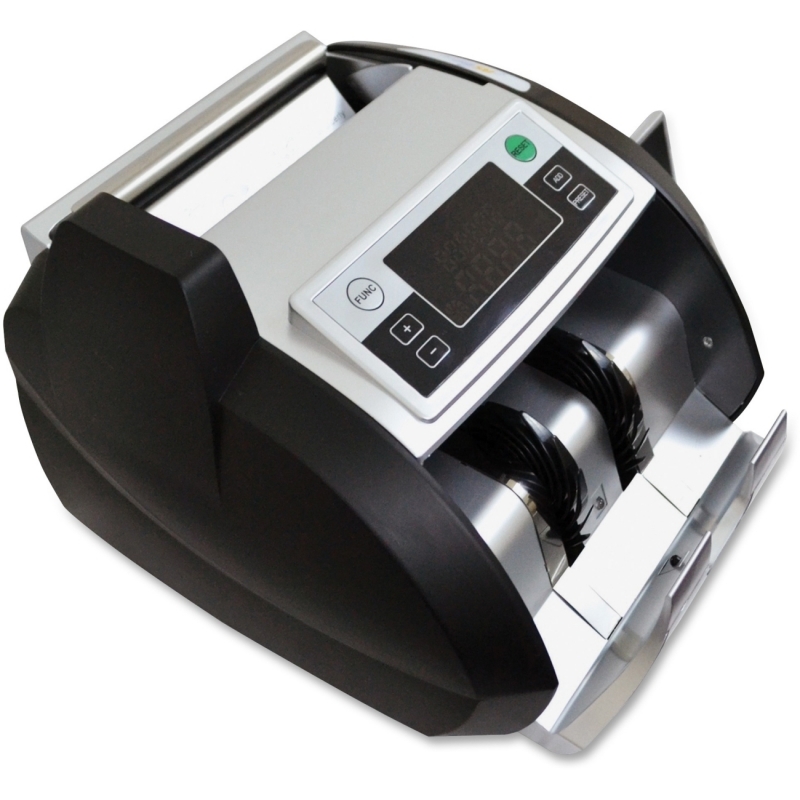 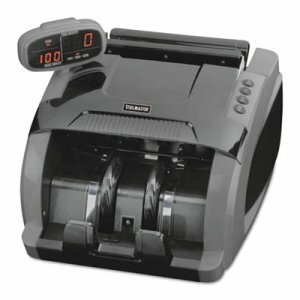 Electric bill counter provides ultimate counting security with three counterfeit detection systems. 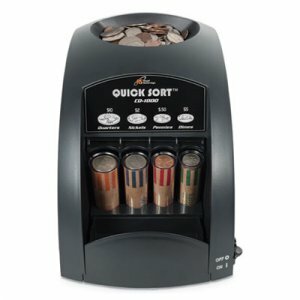 This unit includes Ultraviolet (UV), Magnetic (MG) and Infrared (IR) counterfeit detection systems that will ensure an accurate count. 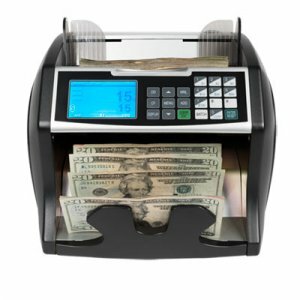 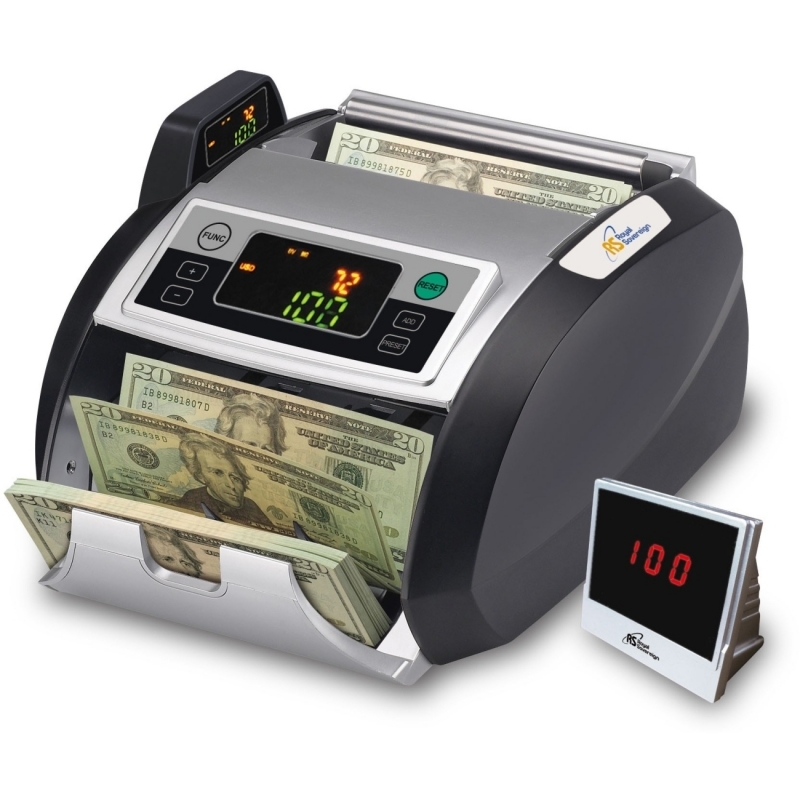 Front-load hopper can hold up to 300 bills and counts at a lightning-fast, 1200 bills per minute. 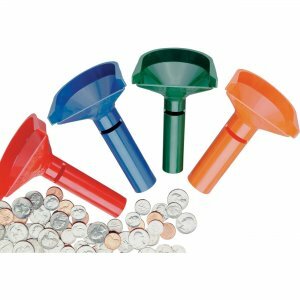 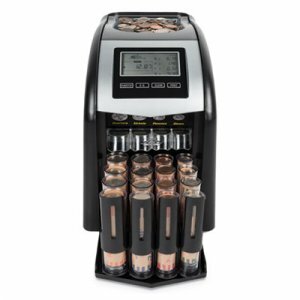 The easy-to-use button controls and vivid digital display make it simple to change settings. 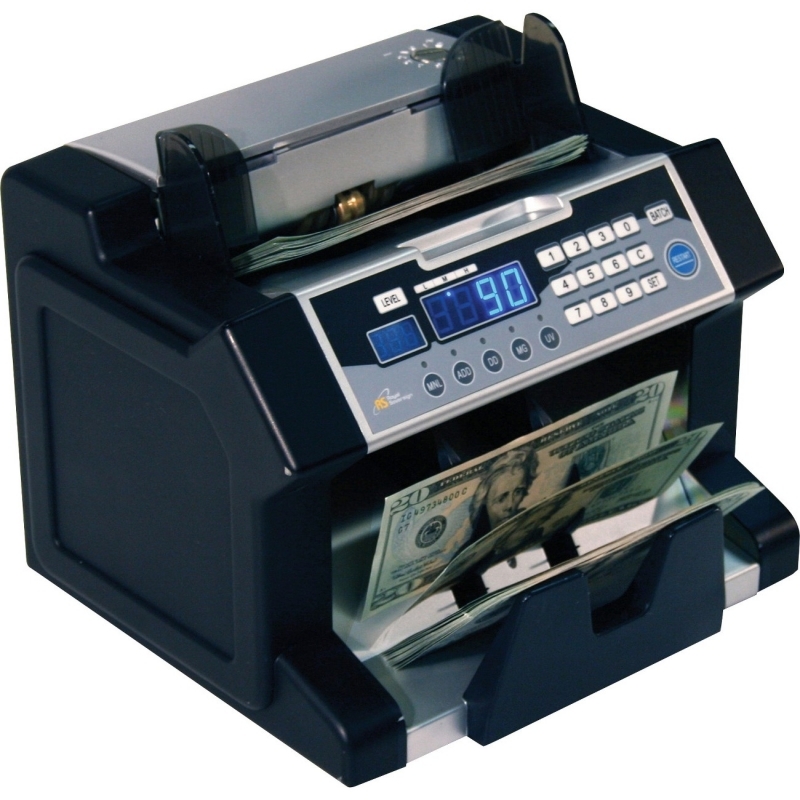 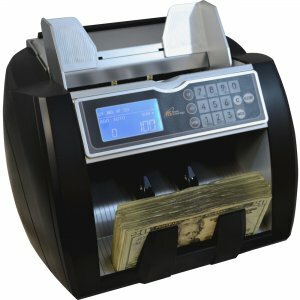 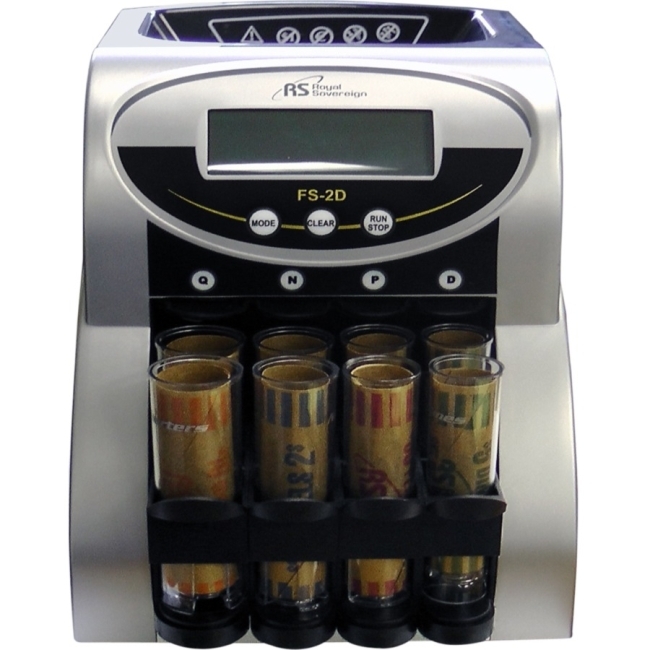 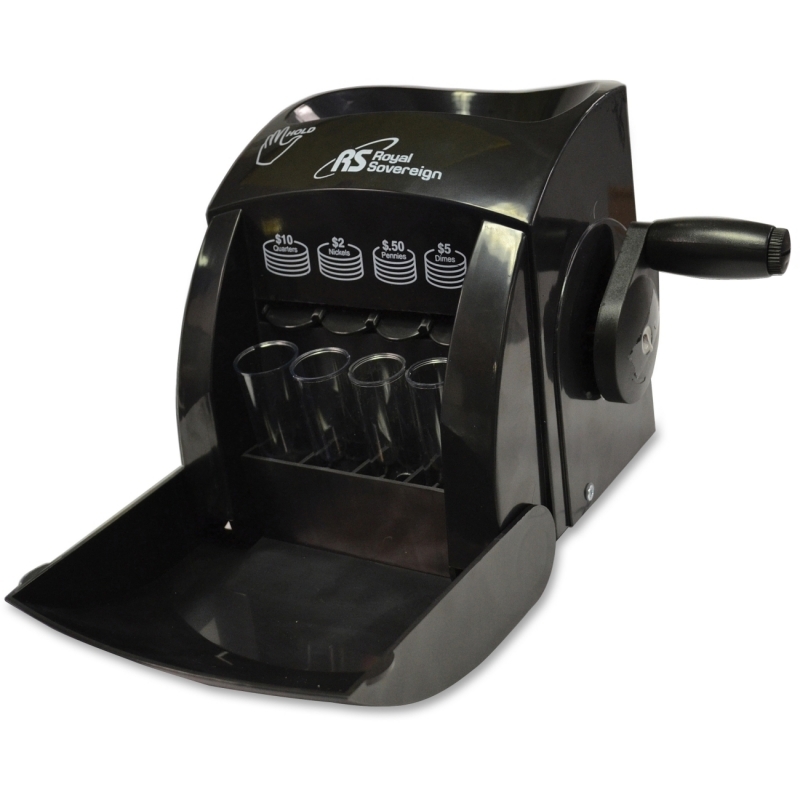 Batch and add mode makes it easy to band, transport and store your cash.